JOIN or DONATE to KNIFE RIGHTS TODAY! 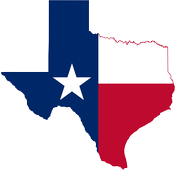 March 30, 2017: Knife Rights' Texas Knife Law Reform Bill, HB 1935, that would repeal the ban on all "illegal knives" in Texas statutes, has been scheduled for a hearing on Monday in the House Committee on Criminal Jurisprudence. If you live, work or travel in Texas, please contact the committee members TODAY and politely ask them to "please vote "YES" on HB 1935." That's all you need to do, short and simple. March 30, 2017: The Georgia House has overwhelmingly passed HB 292 that includes the language from Knife Rights' Georgia Knife Law Reform bill, SB 49. It is now headed to the Governor for action. This bill would increase the legal carry length of a knife blade in the state from 5 inches to 12 inches (see Section 3 of HB 292). HB 292 is this year's "omnibus" gun bill in Georgia. If you live, work or travel in Georgia, like to attend BLADE Show in Atlanta, please contact Governor Deal and ask him to "please sign HB 292." 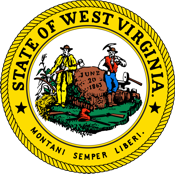 You can easily email the Governor using Knife Rights new Legislative Action Center. Click here to email the Governor. March 30, 2017: Knife Rights' Vermont Knife Law Preemption bill, H 276, has been introduced by Rep. Patrick Brennan. 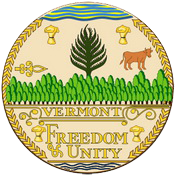 The bill simply adds "knives" to the existing Vermont Firearms preemption statute. Knife Rights is rewriting knife law in America™. Knife Rights passed the nation's first Knife Law Preemption bill removing patchworks of local knife laws that trap unwary citizens in Arizona in 2010 and has since passed preemption bills in Alaska, Georgia, Kansas, New Hampshire, Oklahoma, Tennessee, Texas, Utah and Wisconsin. 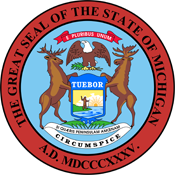 March 28, 2017: Knife Rights' Michigan Switchblade Ban Repeal bill, SB 245, was approved by the Senate Judiciary Committee 5 - 0. The bill now heads to the Senate floor for a vote. The bill would repeal Michigan's outright ban on possession and sale of automatic (switchblade) knives. January 3, 2017: Originally conceived and authored by Knife Rights in 2010 and first introduced in 2013, the Knife Owners' Protection Act of 2017 (KOPA), H.R. 84, now includes repeal of the archaic 1958 Federal Switchblade Act and has been introduced in the U.S. House of Representatives by Rep. Andy Biggs (AZ-05). KOPA will remove the irrational restrictions on interstate trade in automatic knives that are legal to one degree or another in 40 states, while also protecting the right of knife owners to travel throughout the U.S. without fear of prosecution under the myriad patchwork of state and local knife laws. 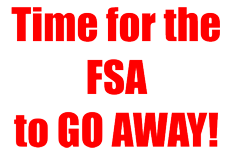 Click on Read More >>>> for additional details and how to contact your Congressman to hep get this bill passed. March 3, 2017: Following up on the Notice of Appeal in our federal civil rights lawsuit against New Your City filed last month, the next set of required preliminary papers has been filed. Our Pre-Argument Statement (Form C) is a required filing that includes Addendum A and B which lay out the basics of the case, with a "Description of the Nature of the Action" and "Issues to be Raised on Appeal." This provides the foundation upon which the actual appeal brief of District Court Judge Katherine B. Forrest's tortured 35-page decision in the case will rest. For full details about the outrageous decision in this case and appeal, click on Read More>>>>. 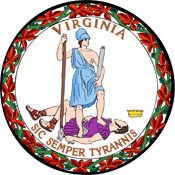 February 21, 2017: Virginia Governor McAuliffe vetoed House Bill 1432 that would have repealed Virginia's switchblade ban including, for the most part, allowing concealed carry. Knife Rights supported this bill even though we had concerns with the language. Unfortunately, despite everyone's best efforts it failed. Knife Rights remains committed to repealing Virginia's switchblade ban. Knife Rights is rewriting knife law in America™. Knife Rights passed the nation's first repeal of a switchblade (automatic) knife ban in 2010 in New Hampshire and has since passed repeal of switchblade bans (and repealed other knife restrictions) in Alaska, Indiana, Kansas, Maine, Missouri, Nevada, Oklahoma, Tennessee, Texas and Wisconsin. 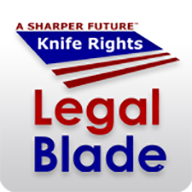 New York Gravity Knife Reform Bills Filed--Again! March 3, 2017: Knife Rights' Gravity Knife Law Reform Bills, A.5667 and S. 4769 have been introduced in the New York Assembly. This is the fourth year in a row that bills have been introduced to stop the abuse of the state's gravity knife statute by New York City. In response to New York Governor Cuomo's New Year's Eve veto overruling the New York Legislature that passed last year's bills by overwhelming margins, and the large coalition of organizations, many part of his own constituency, which supported the bill, this year's bill address the governor's concerns in his veto message, even as irrational and politically motivated as they may have been. Knife Rights has worked closely with our allies in New York to craft a bill that directly addresses the Governor's concerns while also protecting innocent knife carriers in New York City from unjust arrests. The bill removes "centrifugal force" from the definition of a gravity knife to create a bright line definition that even New York City law enforcement and prosecutors can understand, as desired by the Governor. It would preclude the unconstitutionally vague "wrist flick" test that has resulted in over 60,000 arrests and persecutions in New York City and which the Governor himself described as "absurd." 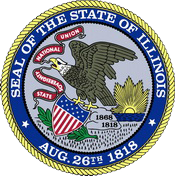 January 26, 2017: SB 607 to repeal Illinois' switchblade ban has been re-introduced by Senator Tim Bevins. This same bill, as SB2294, last year barely missed being passed, lacking only a floor vote in the House before time ran out before the vote could be held. Knife Rights is again working closely with our friends on the ground in Springfield to get this bill passed this year. 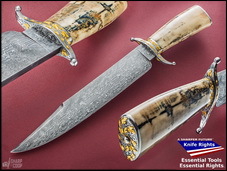 Knife Rights has donated Freedom's Steel™ VI - Victory's Edge™ Bowie, a one-of-a-kind Damascus Bowie knife by Master Blade Smith J.R. Cook with Barry Lee Hands engraving, to the National Rifle Association's Institute for Legislative Action (NRA-ILA). Freedom's Steel™ VI will be a featured auction item at the NRA-ILA Dinner and Auction during the NRA Annual Meeting in Atlanta, Georgia. This is the sixth year in a row that Knife Rights has donated a Freedom's Steel™ knife, raising over $120,000 the first five years. 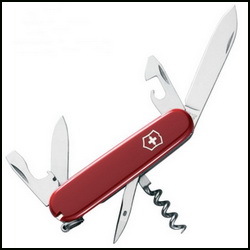 June 3, 2016: In a unanimous decision, the California Supreme Court yesterday affirmed a lower court ruling which held that a common slipjoint folding knife, in this case specifically a "Swiss Army Knife," was not a "dirk or dagger," prohibited when carried in the open position and concealed, under California law. Click here to read the decision. The case arises from a 2012 arrest of a man in San Diego, California, after a traffic stop. Mr. Castillolopez was a passenger in the vehicle, who was found to be in possession of a Swiss Army Knife, which was being carried in a jacket pocket, with the blade in the open position. Mr. Castillolopez was not cited or charged with any other crime other than possession of a Dirk or Dagger, the concealment of which is a felony under California law. 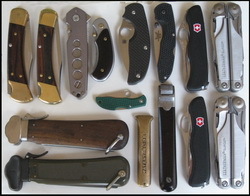 Mr. Castillolopez's was convicted of carrying a dirk/dagger, and his conviction was reversed on appeal, as the appellate court found there was no evidence that the open blade of the Swiss Army Knife was "locked into position," and therefore, definitionally a dirk or dagger under California law. 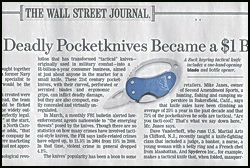 The California Attorney General appealed the decision, claiming that it was a lockblade knife. The California Supreme Court today affirmed the lower court's reversal. Click "Read More >>>>" below for full details and to read the Amicus Brief. 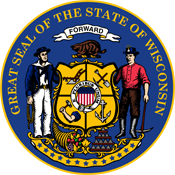 February 8, 2016: Knife Rights' Wisconsin Knife Law Reform Bill including Knife Law Preemption, AB 142, was signed on February 6th by Governor Scott Walker. Wisconsin is the eleventh state in which Knife Rights has repealed a switchblade ban and the ninth in which we have passed Knife Law Preemption. 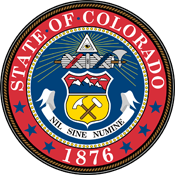 The new law was enacted when it was officially published on February 7, 2016. The signing ceremony was held during the annual meeting of Wisconsin FORCE, the state NRA affiliate. Wisconsin FORCE and Executive Director Jeff Nass played a critical role in passage of the bill and Knife Rights is appreciative of their support for our efforts to forge a Sharper Future for all Americans. At the signing, Knife Rights Chairman Doug Ritter presented Governor Walker with a Pro-Tech TR-4 automatic (switchblade) knife specially engraved with the state seal and his name and dedication during the signing ceremony (photo after the break). ALL KNIVES MATTER! 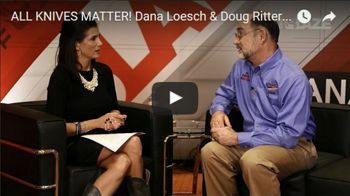 Dana Loesch talks about knives, Knife Rights and the Second Amendment with Knife Rights Chairman Doug Ritter at SHOT Show 2016. 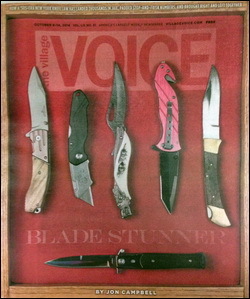 Oct. 8, 2014: New York City's The Village Voice newspaper has published a front-page article, "Blade Stunner," slamming the City's persecution of knife owners. Journalist Jon Campbell's in-depth research provides a historical perspective and personalizes the unfortunate and serious impact the City's irrational and unconstitutional enforcement has had on citizens arrested and prosecuted for simply carrying a common folding knife. One of the most shocking revelations in this article confirms Knife Rights' longstanding position that tens of thousands of citizens have been victimized by the City's outrageous enforcement practices. In the first estimate by an independent organization it reports that, "Village Voice analysis of data from several sources suggests there have been as many as 60,000 gravity-knife prosecutions over the past decade, and that the rate has more than doubled in that time. If those estimates are correct, it's enough to place gravity-knife offenses among the top 10 most prosecuted crimes in New York City." 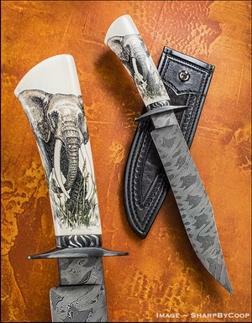 Click here to read the complete "Blade Stunner" article. Author Jon Campbell also has a short somewhat humorous, if pointed, companion piece, which makes good reading as well, "On Switchblades, 'Cheap Dime Store Hoods' and That Wet End, Lachance"
Knife Rights' Federal civil rights lawsuit continues against New York City and District Attorney Cyrus Vance, Jr. Click here to read the latest news on this lawsuit.